The key to a discipline interaction is to optimize the chance for learning by moving a child's brain from reactive to receptive. After Tina Payne Bryson and I wrote The Whole Brain Child a few years ago, we were struck at how the term "discipline" was often used in our workshops by parents as a synonym for "punishment." And so we felt it was important in our next book to help clarify that the term discipline really means "to teach," and that the recipient of our discipline is a student, not a prisoner. In No-Drama Discipline, Tina and I explore this issue head on, using the Connect-and-Redirect whole-brain principle as our centerpiece to invite parents and other caregivers to really reflect on the nature of discipline, teaching and relationships. The book's primary message is that the most challenging moments that require our disciplinary action are the opportunities for deep teaching. Louis Pasteur once said, "Chance favors the prepared mind." One way of interpreting this phrase is that with knowledge and understanding, our minds can be prepared to optimize our response to the chance events that happen in life. In all of my writing or co-writing, I think of this phrase as a starting point. How can I help prepare the mind of a reader to optimize their experiences, to improve their inner understanding and interpersonal relationships? In the No-Drama approach, Tina and I have tried to use brain-basics to invite parents to prepare themselves for how communication shapes the development of the important integrative circuits of the brain at the heart of well-being, social and emotional intelligence and executive functions. In brain terms, a moment requiring discipline can emerge at any time, and the ones that involve limits and intense emotions can be the most challenging. As our brain has two fundamental modes -- reactive or receptive-- the key to a discipline interaction is to optimize the chance for learning by moving a child's brain from reactive to receptive. Reactivity can take many forms such as the classic mild, moderate or intense states of fighting, fleeing, freezing or fainting. In such reactivity, learning will be limited. As Steven Porges suggests, we shut down our social engagement system when we are reactive. Connecting first with a child's state of mind is the key to moving reactivity toward receptivity. I remember this myself with the acronym, PART; for the Presence, Attunement, Resonance and Trust that are the part we play in connecting with others. Presence is our own state of mind to be curious, open, accepting and loving (yes, that's the COAL state of being mindfully present!). Attunement is how we focus attention on the internal state of another -- not just on their outward behavior. Resonance is how we allow our own internal state to be shaped by what we sense and perceive in someone else -- so it's not really mirroring, but it's resonating. When the other person recognizes and feels our resonance as it emerges from our attunement and presence, they will begin to develop trust as they turn on their social engagement system (or, as Steve Porges would say, they are now activating the ventral branch of their vagus nerve). So when we enact our parental PART, we then connect with our child. Once he or she has moved from reactivity to receptivity, we can then begin the redirecting aspect of discipline, which will be how we teach about the particular issue unfolding at the time. Whether this is about not eating a whole cookie before dinner, not hitting a brother or learning to stop a video game and come to dinner after the second request, connecting first before redirecting will make the learning more likely to occur. One of Tina and my deepest hopes about this no-drama approach is that it will invite a new conversation about discipline -- one that we hope will be good for parents and children alike to increase connection and optimize learning. We can all hope that with our prepared minds, we can help our world, one relationship at a time! 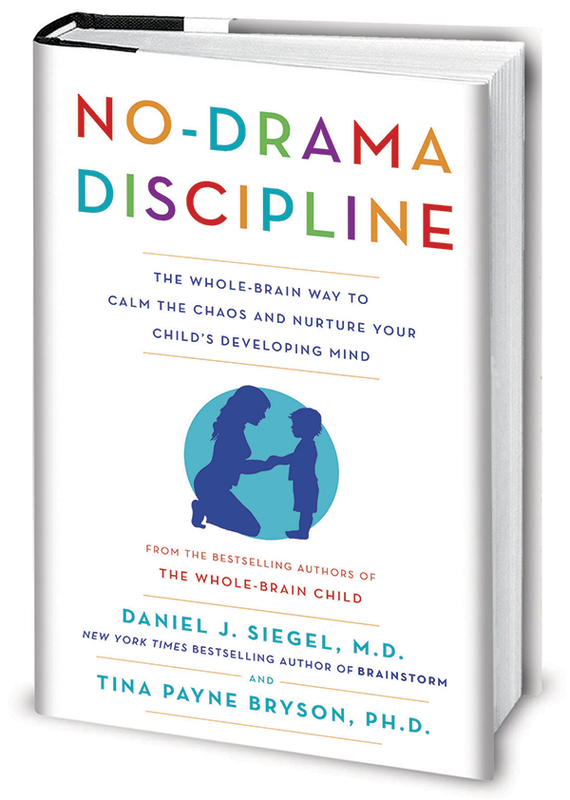 You can learn more about No Drama Discipline and Dr. Dan Siegel at www.DrDanSiegel.com.